Entering Natura Obscura’s inspirational woodland. We are halfway between winter and spring. The eagles have returned to their nests, the owlets have already hatched. But if you’re stuck in the doldrums, here are two books and a field trip to reawaken your imagination. The Indian Hindu epic The Ramayana unifies and defines the divergent cultures of Southeast Asia. The new year - fresh and crisp as an ancient glacier. 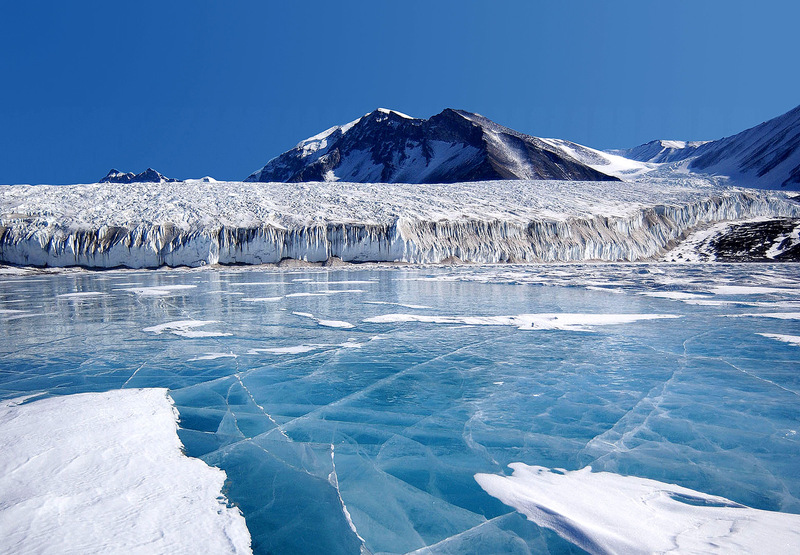 Lake Fryxel, in the Transantarctic Mountains. Photo credit: National Science Foundation. It’s been a year. Our contributors look back on the Fiction Unbound highlights of 2018. Julie Buffalohead (Ponca), Black Snake Memory, 2018. Oil paint on canvas; 60 x 84 in. Courtesy of Julie Buffalohead and Bockley Gallery. The best world-building is participatory, a collaboration between artist and audience. 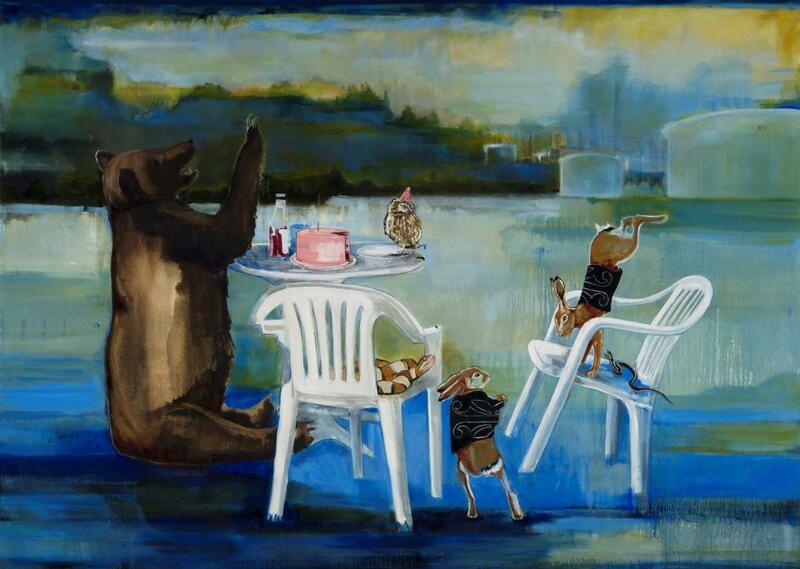 Artist Julie Buffalohead creates narrative images layered with personal meaning, both playful and serious. At the same time, she invites the viewer in, leaving of room for the mysterious. The holidays are here again. The days are short and the nights are long. Best stock up on stories that will see you through the long dark. The Unbound writers attended Denver’s 50th annual SF/F fan and writer convention: MileHiCon. Our editors share their thoughts on Lit Fest 2018 in Denver. Who doesn't like snow cones in summertime? Grab a frosty beverage and head to the hammock or the beach with one of these great speculative summer reads! Our New Year's (Literary) Resolutions: We're Ready for 2018! Here at Fiction Unbound, we're ready for 2018. Are you? Here are our literary New Year's resolutions and a look back at our personal moments and favorite books of 2017. Star Wars holiday art by Scott Park © 2011. Some holiday traditions are better than others. The Unbound Writers picked their favorites to recommend books that will see you and your friends and families through the holiday season and beyond. An Unbound writer comes back from the Clarion SF/F Writers Workshop and into a dystopian moment. Need some book recommendations for Valentine's Day? Well, frak, don't ask us. Enjoy a well-deserved rest with the Unbound Writers and enjoy this five-hour Darth Vader Yule Log. Magic and miracles on a long dark night. We recommend some great books to keep you and yours company until the sun returns.